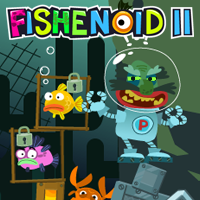 Release fishes and collect coins and other goodies in this strategic action game. Dr Padlo is a bad man. He hate fishes and want to transform them all into zombies. So he catches them and locks them in jail boxes. Can you save them? Suitable for ages six and upwards.